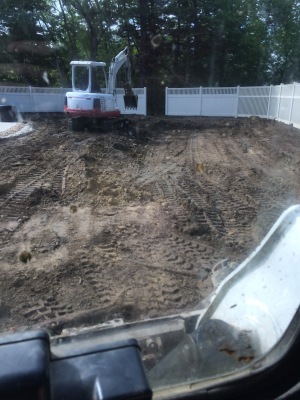 View our past projects below! 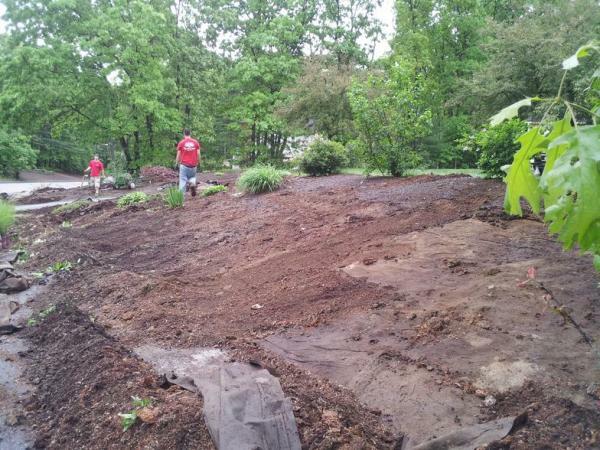 ​We work with you to design your perfect new yard, back yard oasis, or annual flower plan. Our initial recommendations and notes are just the start. 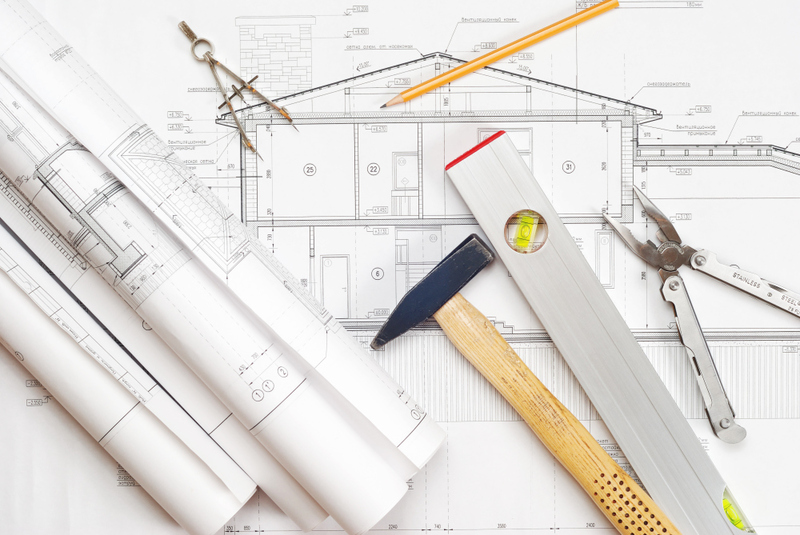 We adjust to include more or less features on the project to make sure your property's vision is met and delivered upon. 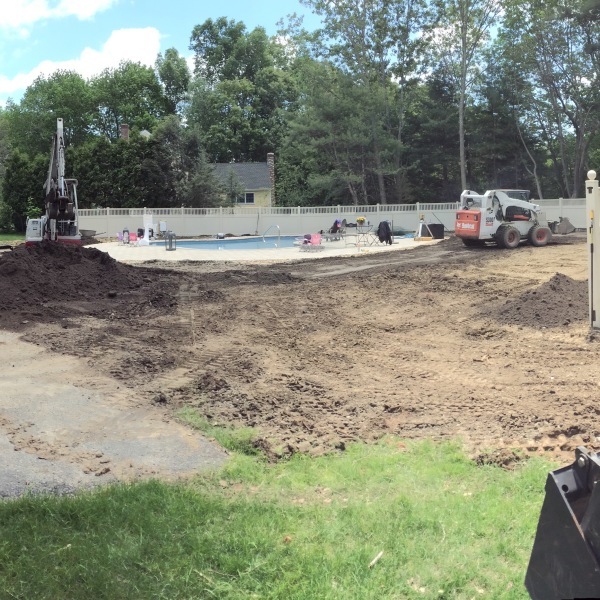 Our "Copperwood Project" consisted of a site makeover of the backyard, some foundation work for a new bocce court, and new plantings to the perimeter of the property. 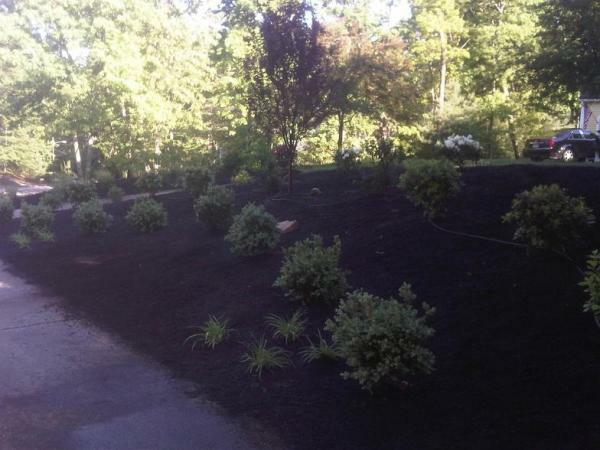 We concluded this project with hydroseeding to the new lawn areas. 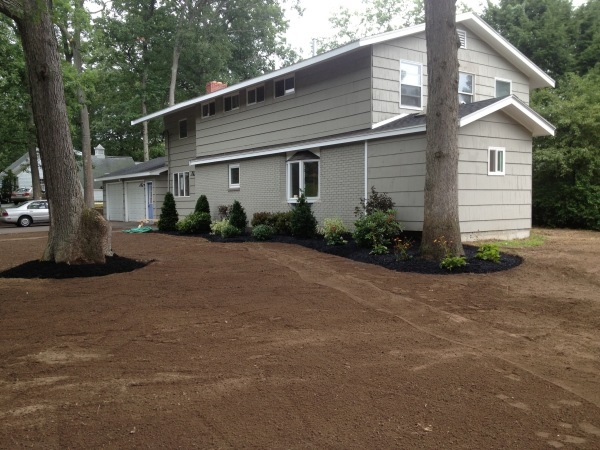 Our "Hall Project" consisted of a complete facelift to this property. 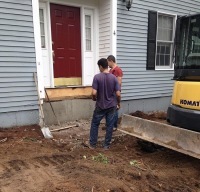 During this project, we worked with the owner and took out the failing brick stairs and treds, and repaired the water damage to the foundation of the house. 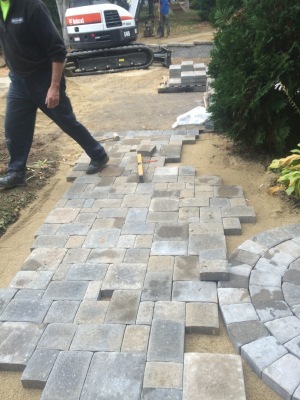 During the process, the owner decided to replace the the concrete walkway and we installed a new beautiful Techo Champlain Blue 60mm walkway with bordering cobblestones, set in concrete. 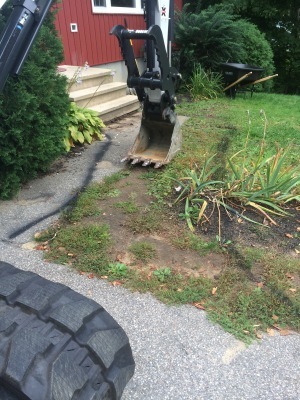 Finally, we replaced 1 dead tree and 5 overgrown bushes around the foundation. 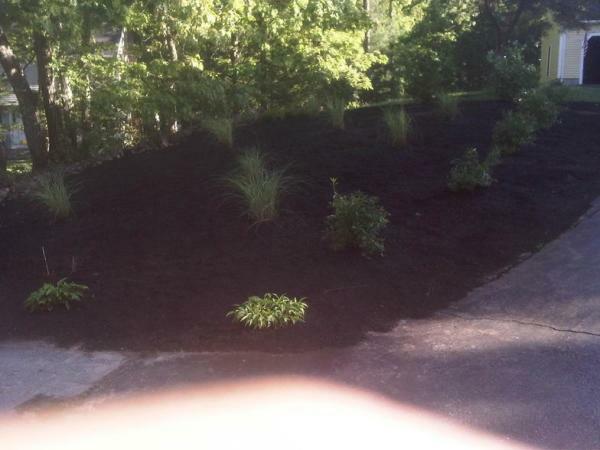 We completed the project with a fresh layer of mulch, loam and seed to the respective areas. 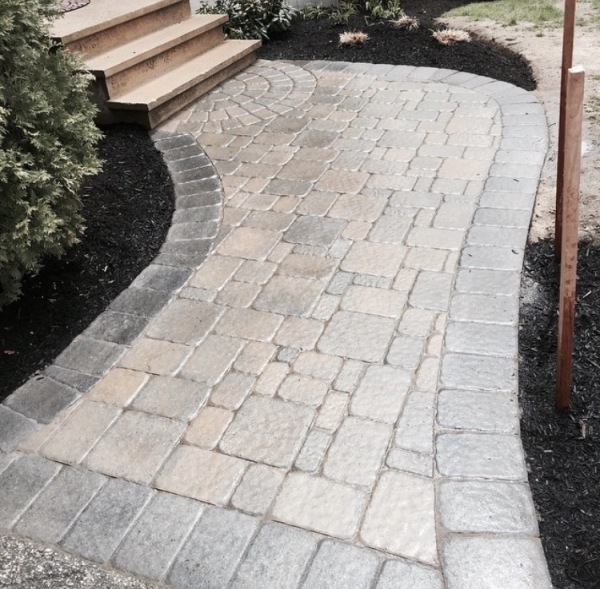 Our "Durham - A Project" consisted of a new stonewall, front walkway, foundation plants and perennial flowers. 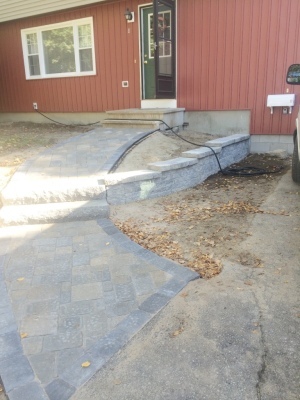 The asphalt walkway was replaced with a new, and wider, two-tone Unilock walkway with a half circle design at the foot of the front stairs and two granite steps for a less steep entry way. To finish off the project, we added some perennial flowers, and new plants for the foundation. In addition, we did a spring cleanup, pruned the existing plants on the property and added a fresh layer of mulch to the beds. 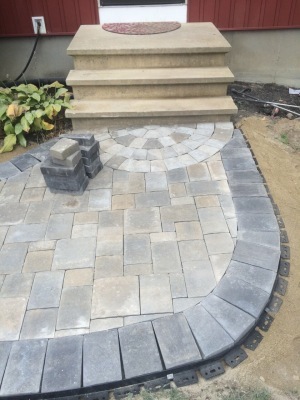 Our "Durham - B Project" consisted of removing the asphalt walkway for a new and wider two-tone Unilock walkway with a half circle design at the foot of the front stairs. To finish off the project, we added some perennial flowers, and new plants for the foundation. In addition, we did a spring cleanup, pruned the existing plants and added a fresh layer of mulch to the beds. 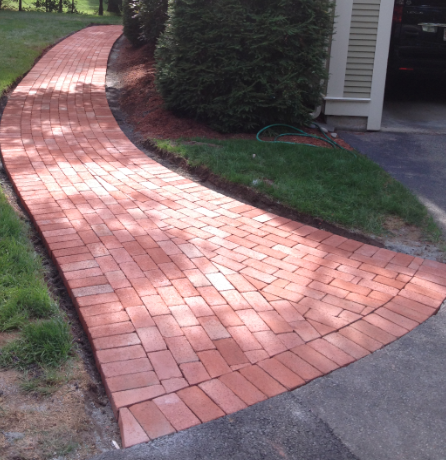 Our "Jorie Project" consisted of removing an old 70ft brick walkway. 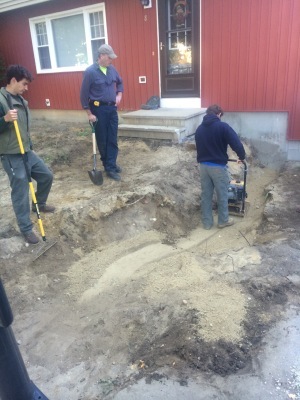 We widened the walkway and brought in new base material to meet ICPI specification. 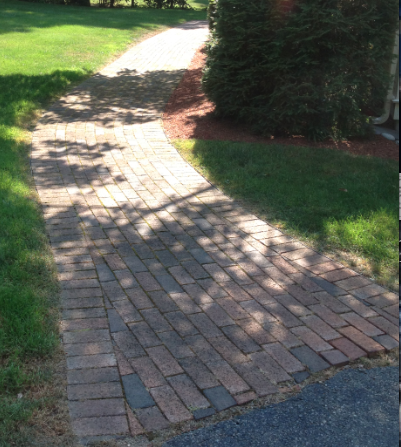 We also added a wider "flare" at the end of the walkway and created a more appealing and welcoming design. 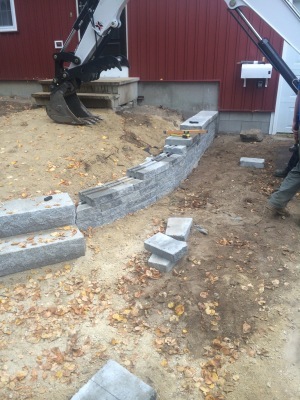 Our "Stephan Project" started out with the owners tackling this work on their own, and it turned out to be more than they expected. 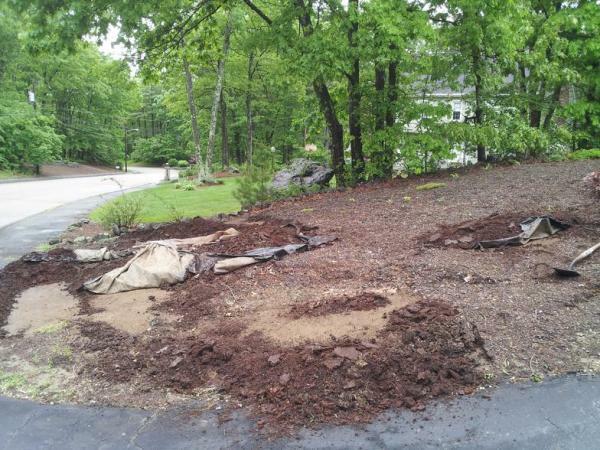 We removed the front plantings, landscape tarps, and excess mulch. 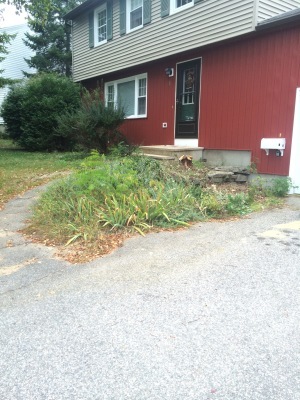 We replaced the front slope with two trees and a mix of over 50 small to medium sized plants. 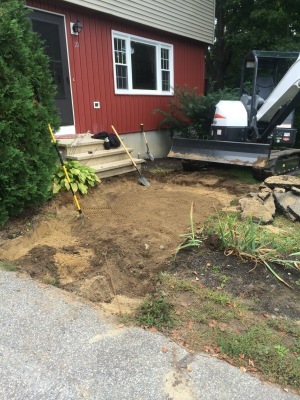 Our "Palv Project" consisted of removing an old concrete stairway, planting 30+ small plants and bushes around the new foundation, and regrading the yard with an additional 40 yards of topsoil. We finished the project with a full property hydroseeding application. 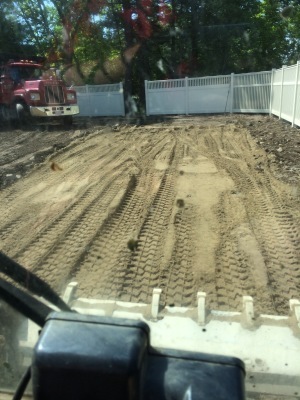 Interested in having us work on your next project? Contact us today. If you have any questions, please do not hesitate to send us a message. We aim to reply within 24 hours.